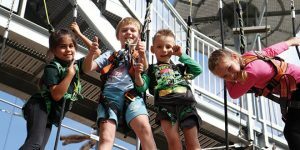 Australia desperately needs to make physical activity a way of life for its children, advocates the latest data in Active Healthy Kids Australia’s (AHKA) Report Card on Physical Activity for Children and Young People. 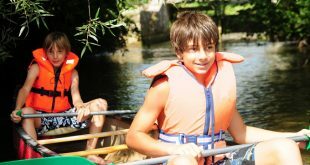 Could nature play, increasingly popular among educators, be the solution? 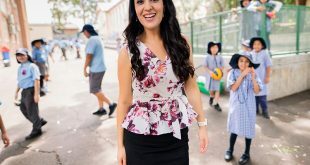 Australia received a dismal D- overall on the AHKA report card, with “less than one-in-five children getting the recommended 60 minutes of huff and puff (aerobic) activity,” said Dr Natasha Schranz from the University of South Australia. 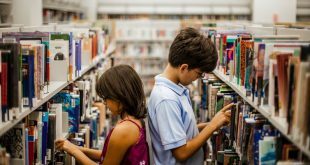 Parent-report data also revealed that most primary school children (54-65 percent) have more than two hours of screen time on a typical day. 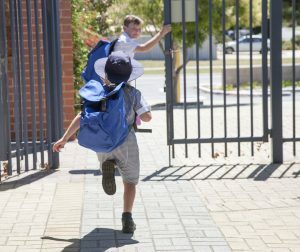 Boosting physical activity shouldn’t just be about increasing the number of PE lessons, either, if we want to make it a ‘way of life’ for kids. Scheduling lots of sports or organised activity could send wrong message if it means the child will then equate ‘rest time’ with playing on their iPad. Designing an environment for students to inhabit where physical activity is the norm, however; that might work. 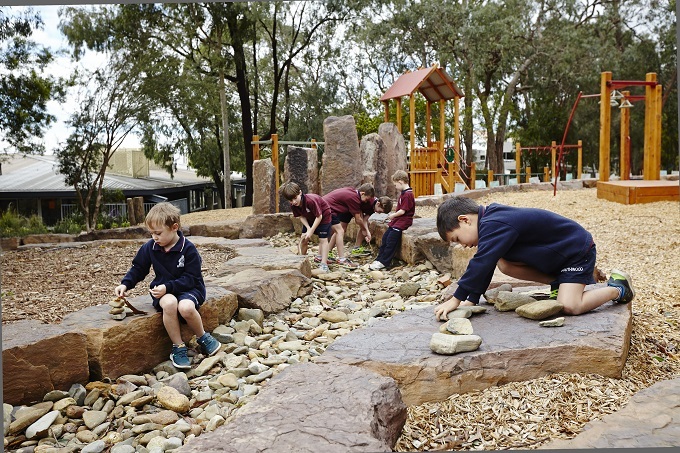 School News spoke to some of the country’s biggest movers and shakers in the growing sector to find out what these spaces require to qualify as ‘nature play’. 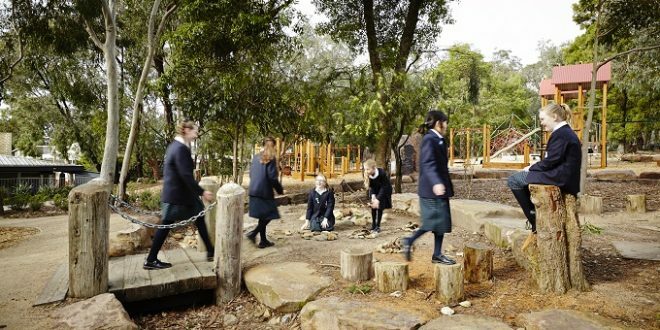 Jeavons Landscape Architects director, Mary Jeavons explained the three essential themes: “First is the concept of looseness, which invites true engagement; children building, constructing, arranging objects creatively (and often socially). Second is that materials are not perfectly smooth, purpose -designed, evenly spaced or predictable and are completely open-ended in how they may be used. Third, the setting ideally provides some living elements, most likely vegetation, that will in turn attract birds, insects and wildlife and expose children to the local environment, seasonal change and natural processes. 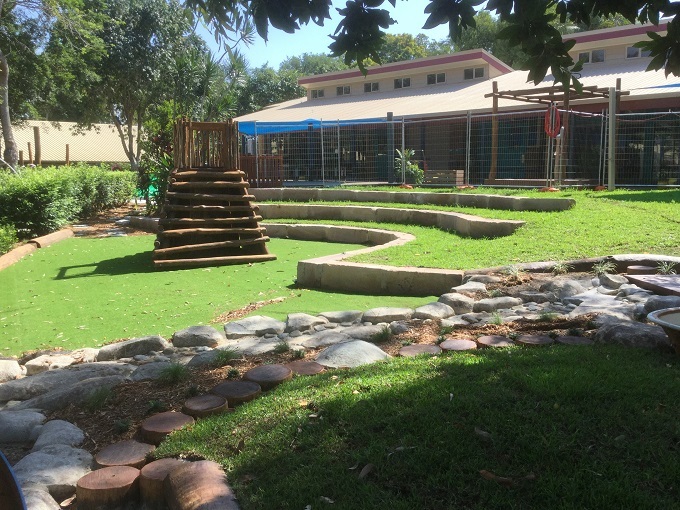 In ‘An exploration of nature-based play at Australian pre-schools’, Southern Cross University’s Julia Truscott discusses this idea that ‘risky play’ is something children seek and may need for their healthy development. 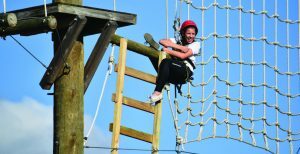 She explains that play areas designed to challenge children encourage them to lean on their risk perception while ‘safer’ equipment can become more hazardous if children misuse it to create a sense of risk. 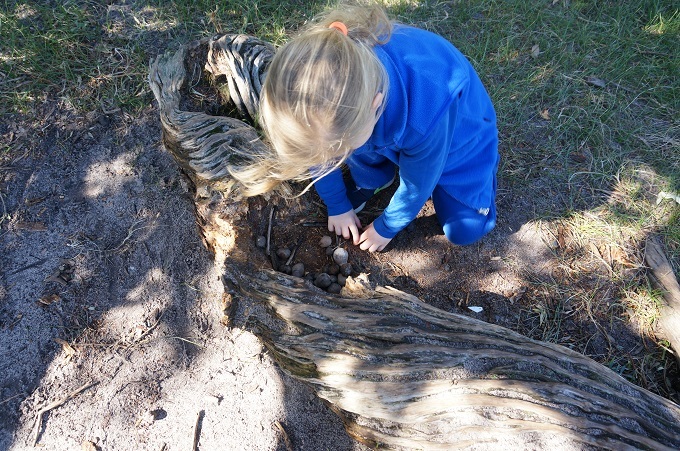 Madelyn emphasised the learning capacity of nature play: “Nature play equipment should have things to discover – uneven surfaces, interesting knobs and angles, natural bug trails and different textures. Exciting pieces of equipment highlight natural features and entice students to notice things about them, and wonder how they formed. For example a knot in a branch, smoothed for safety but placed for grabbing as you climb, and a good height to study. George gave us a detailed overview of what the design stage requires: “Sometimes, the school will have been working on their wish list for a year while researching funding options. But the design stage starts with a site visit to assess which areas are to be used and what the school wants out of their design. 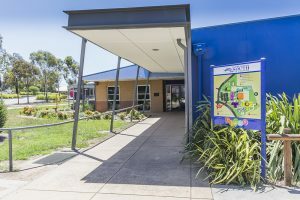 Sometimes, the space might not be big enough for what the school initially wants, or the site may lend itself to something completely different and quite unique. “From here, a simple concept plan is drawn up and the amount of detail required in the plan depends on whether the project will go out to tender or be constructed by the same company. 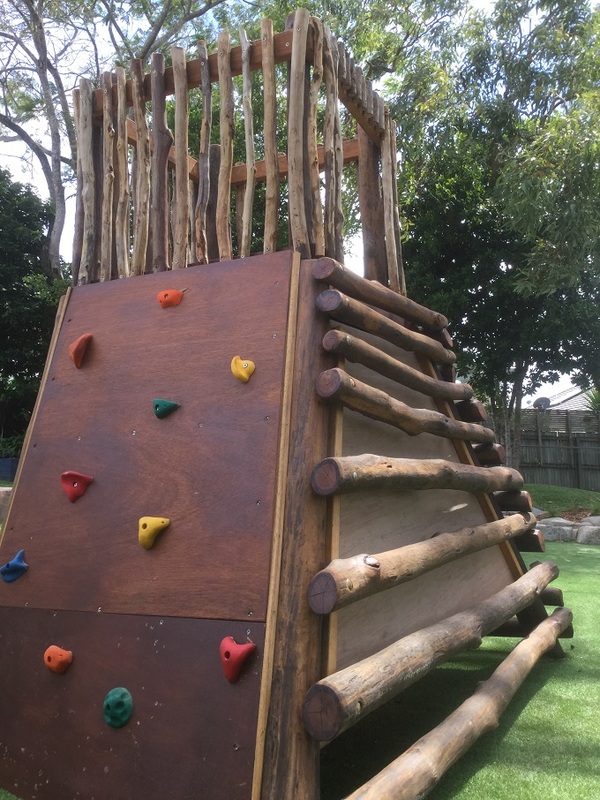 Madelyn said: “The most elaborate nature play space will have trails through bush, and a mix of plenty of designed features encouraging interaction with natural features. 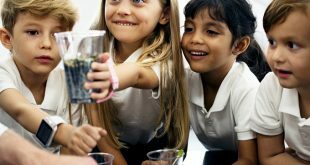 Most schools do not have this opportunity, but with careful planning can still create an area that enables open-ended play and exploration. 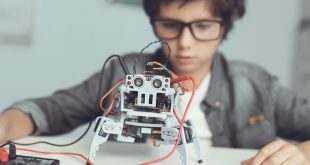 Creating a space for children to endlessly problem solve, create, take risks and play is essential in developing skills like resilience and flexibility. “This generation will face a range of challenges, including the impacts of climate change, increasing globalisation, and the consequences of rapid technological change,” CHEO Research Institute scientist, Dr Tremblay says. 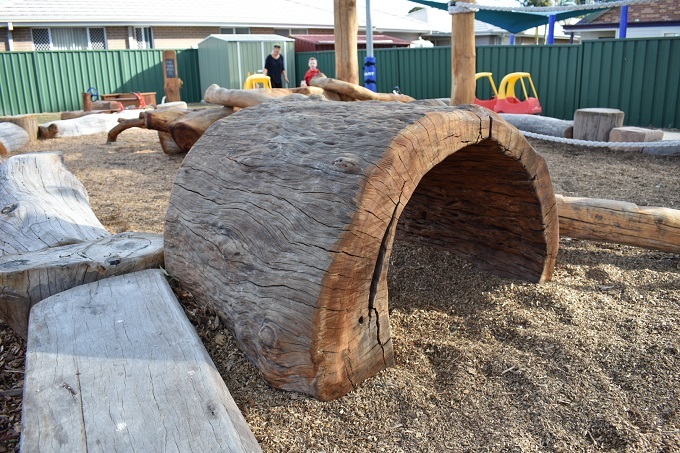 Woy Woy Public School recently had its playground designed by Timber Creations, winning a commendation award at the 2018 Kidsafe National Playspace Design Awards. 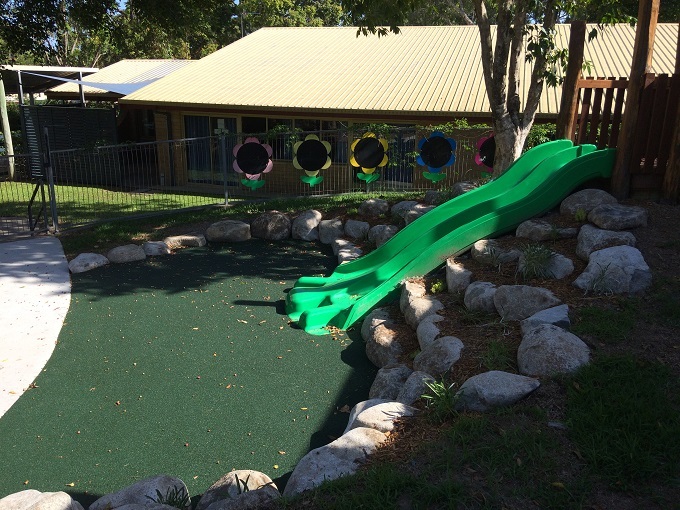 Madelyn revealed that the school wanted to create a practical and engaging playground for its preschool, on a relatively small budget. 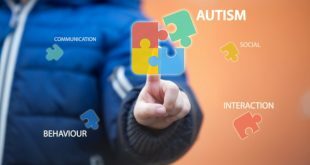 “They needed to match the preschool’s core values, providing inquiry and play based learning and development. 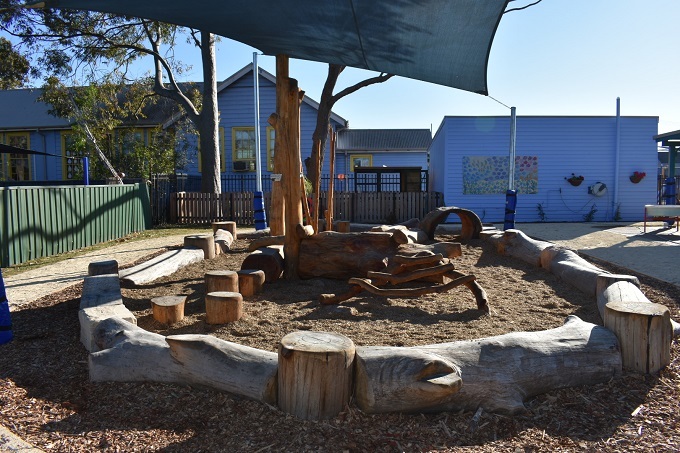 A nature play space was essential for this, allowing children to be creative in using the space. Learning capacity is a critical fixture in nature play too; a place where teachers can also teach. 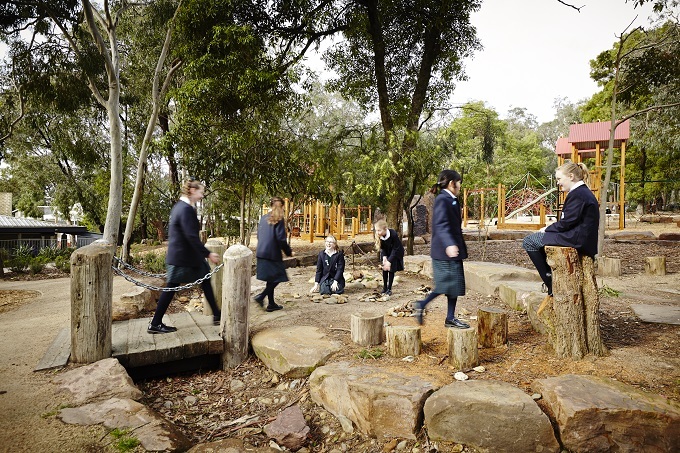 School News caught up with Sonia van Hout, who has worked with Jeavons historically on many projects, most recently as part of her role as director of ELC and junior school at Eltham College, where she collaborated with Jeavons Landscape Architects on an extensive nature play space for Years 1-6. 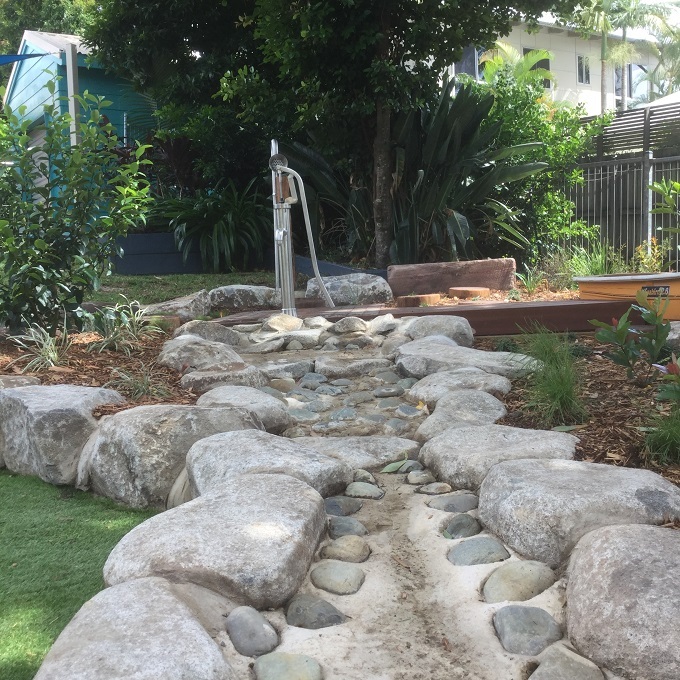 “It was built to our own design: we consulted with the children so they were really part of the process and the Jeavons team ran a number of group sessions with them and observed them in the space. They talked a lot about story and roleplay, which we integrated into our design. Now there’s a real flow between the indoor classroom and the teacher’s ability to take a group outside. 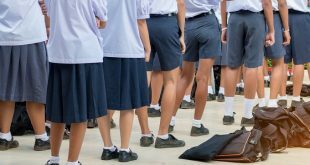 I’ve seen children outside reading books, or having movement breaks, and it’s given teachers a line of sight so that some of their kids can be learning inside while others learn outdoors. 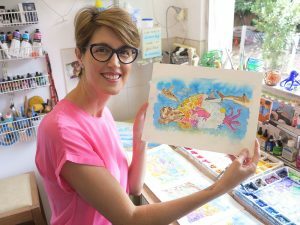 “We have a Lilydale topping and rock area, where children can bring in dinosaurs and make huts with sticks, there’s little mushrooms and a beautiful storybook platform the children might turn into a castle; then we have hanging monkey bars, climbing and balancing apparatus, a slide and fireman’s pole, wobbly bridges and more. 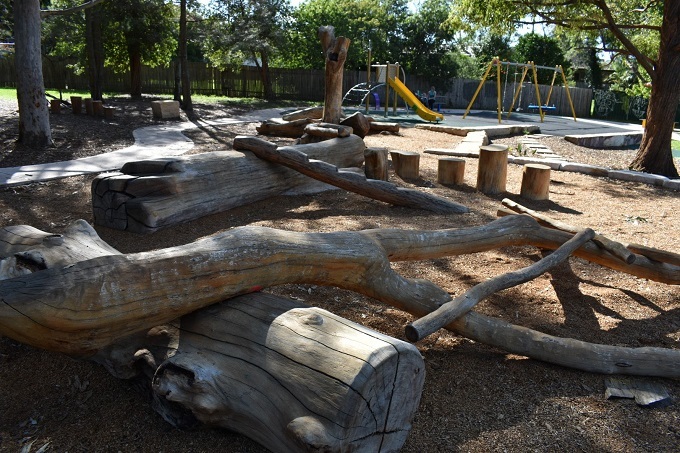 Sonia’s big tip for other schools who want to take the nature play plunge is to visit other playgrounds with thoughtful, nature-based designs, and “take time to observe, talk and wonder”.